Remote communities have growing access to solar power to run medical equipment, but this alone is not sufficient for the provision of medical care. 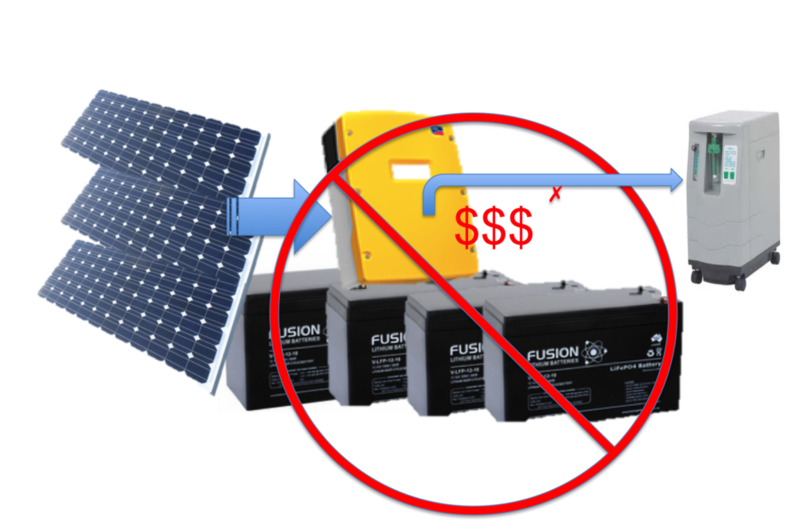 During the wet season and at night, solar power can not run medical equipment. As battery systems are currently too expensive and difficult to transport to remote communities, contemporary electrical oxygen generation is too often a distant reality. FREO2 Solar is an add on to our Siphon oxygen concentrator, allowing the system to run off both solar power and running water. This versatility is unique in the industry, allowing for the uninterrupted production of medical-grade oxygen, rain or shine, day and night. Additionally, the system has few ongoing costs, and can easily be integrated into existing power grids without modification. FREO2 Solar aims to give greater autonomy to rural health clinics by providing a versatile and reliable means of oxygen generation in the fight against Pneumonia.